Correlation is a statistical concept. It shows the relationship between two variables. In our case, it measures if two or more assets move in the same direction when one of them changes. For instance, if you have two companies from the oil sector in your portfolio, it is very possible that both increase their prices at the same time, if the oil barrel is more expensive. However, it is difficult to detect for many investors. Very correlated assets in the portfolio increase the risks of losing money. It is similar to put all the eggs in the same nest. But there are some helps to avoid these risks. The first one is the correlation ratio. It varies between -1 and 1. If the figure is near to 1, there is a high correlation. If it is near to -1, there is an inverse correlation (when the price of one asset changes, the other changes in the opposite way). If it is near to 0, there is no correlation. The assets in the picture have a high correlation. This portfolio is very risky. A defensive proposal would look for non-correlated assets or even with inverse correlated. A second hint to detect correlations is diversification. It is important to have a good asset allocation. VaR also provides some clues, over all if you have the “Diversification benefit” tool. We have already published a post about it. 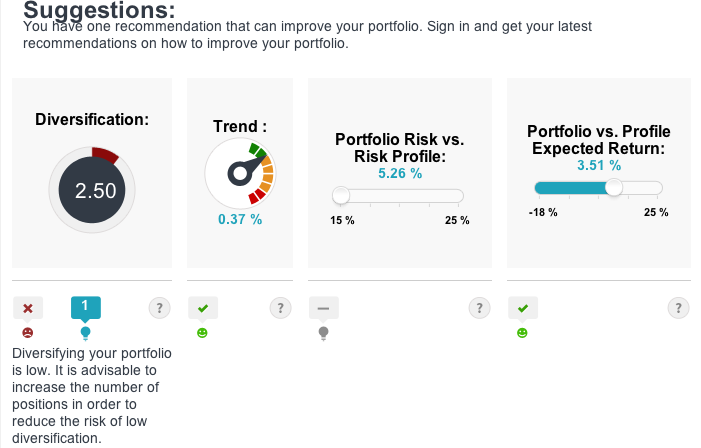 T-Advisor has also a tool that measures the portfolio diversification and suggests changes to reduce the risks. Last idea to discover correlations and take decisions to avoid it is the portfolio optimization. 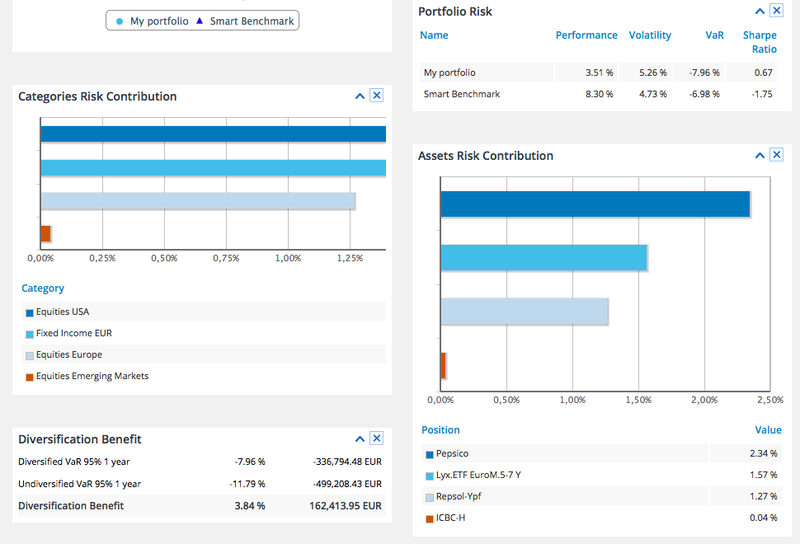 T-Advisor has the tool “Optimizer” to find correlated and non-correlated assets. The tool recommends positions to be reduced or enlarged. So, the investor has the chance to improve the risk and performance. To sum up, correlation is a measure about our portfolio risks and our diversification. A high correlation is always a warning signal, because it is possible that you get a positive trend in a period, but… what about if the trend is negative? This entry was posted in T-Advisorpedia and tagged correlation, Diversification, Optimization, risk on April 24, 2014 by Oscar Garcia.